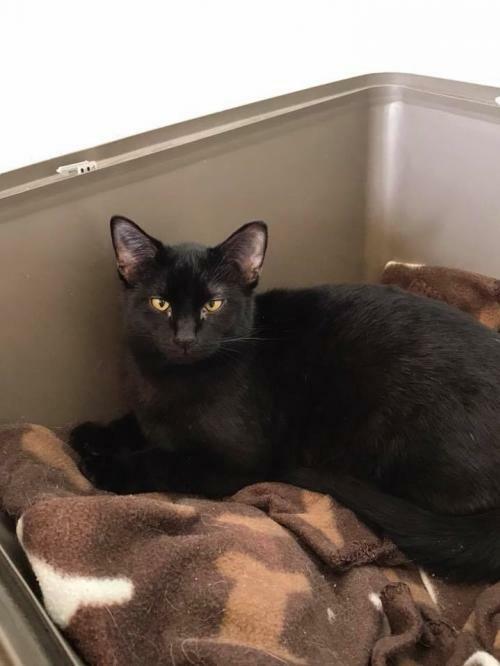 Dale is a black male cat with Siamese-like facial features. He was born towards the end of March 2017. He is a sweetheart, but is a bit shy. He needs some encouragement and is just starting to be a little more “outgoing” and he dos love to have his belly rubbed. His adoption fee is $40. This will cover neuter, vaccinat ions, and microchip.